Where to stay in Los Roques? ThatÔÇÖs the first thing that comes into your mind when you plan for a trip to the exotic heaven of Los Roques. Los Roques is truly a dream destination for the perfect vacation. The endless white beaches, the crystalline water teeming with marine wildlife and the balmy weather makes it the ideal destination for a Caribbean style holiday. Los roques was declared a national park in the tyear 1972. 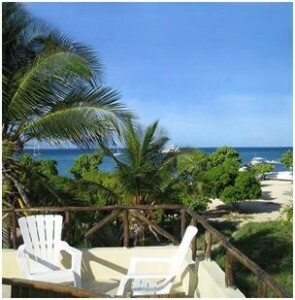 Great emphasis has also been placed to preserve the natural beauty and wildlife of this beautiful archipelago. Los Roques boasts some of the most beautiful beaches in the world with sparkling waters teeming with rare marine flora and fauna. Los roques is undoubtedly a treasure to discover. Whether itÔÇÖs the modern Gran Roque or the uninhabited islands of Los Roques, the beauty is unsurpassable. Los roques is one destination you just canÔÇÖt afford to miss. The best thing about Los Roques is that you donÔÇÖt need to spend a fortune to have an amazing experience. There are many great Posadas available at great prices which can make your stay memorable. The amenities and services offered by the Posadas in Los Roques are extremely affordable and of high quality. The people of Los Roques ensure that you have the experience of your life at an affordable price so that you keep visiting los roques again and again. This beautiful villa is situated in Gran Roque, meaning you are close to both the active town life of Los Roques and all its natural beauty. You have great view of the blue green ocean and a wide terrace running the whole length of the villa, and a beautiful garden. It offers four comfortably appointed rooms, and a quaint live-in attic. The villa is tastefully decorated with Italian furnishings and is the perfect picture of a Los Roques Posada. This beautiful Italian styled posada is located in Gran Roque. Its offers exceptional amenities and a highly qualified staff which ensures that all your needs are taken care of immediately. Amenities include a spacious lounge, a modern kitchen and Wi-Fi. While in los roques, donÔÇÖt forget to experience the amazing cuisine of the island. The best place to start of ifs La Chuchera. It offers a wide variety of dishes. You have your meals in its beautiful dining area or out in the charming patio.